You can also join a campaign to kick politicians beholden to the gun lobby out of office. After last week’s horrific shooting at Marjory Stoneman Douglas High School in Florida, brave student survivors wasted no time before calling out adults for failing to address the gun violence that has plagued the United States for their entire lives. Their peers across the country then followed their lead with plans for school walkouts and a “lie-in” in front of the White House. This week’s Take Action Now focuses on ways we can all support this inspiring organizing. Students at Stoneman Douglas are calling for us to join them on March 24 in Washington, DC, and cities across the country for the March for Our Lives to demand legislation to stop gun violence. Of course, it takes resources to pull off an event of this size. Support their efforts by making a donation. Get ready to march. Sign up here to receive updates on March 24 actions in DC and near you. You can also spread the word about or, if you’re a student or an educator, participate in nationwide student-led school walkouts planned for March 14 and April 20. 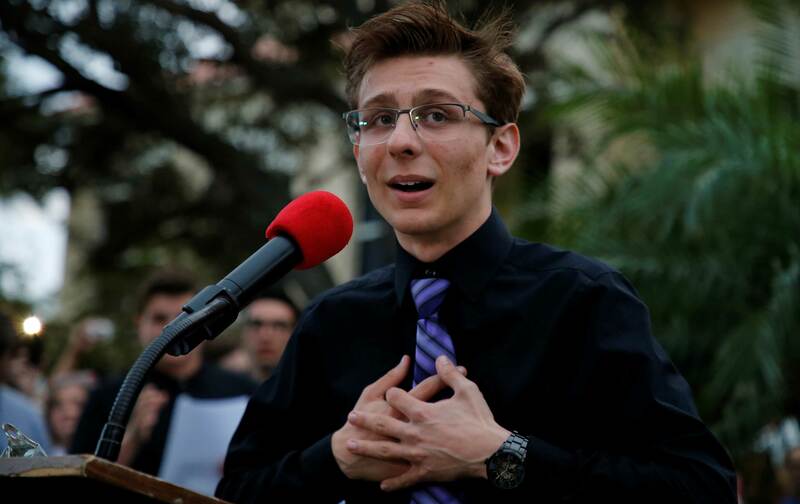 Stoneman Douglas student Cameron Kasky ended an essay for CNN by stating, “We can’t vote, but you can, so make it count.” Heed his call by joining Everytown For Gun Safety and Moms Demand Action for Gun Sense in America’s “Throw Them Out” five-action plan to kick elected officials beholden to the gun lobby out of office. You can get involved by calling your representatives, registering your friends to vote, getting candidates on the record on gun control, or even running for office yourself. Click here to join the campaign.